With the broader market breaking a key support level this morning, let’s take a quick look at mid-day Sector Breadth and view the results of our Trending Stock Scan candidates. We’re seeing another clear example of Bearish Breadth where the strongest sector is Utilities ($XLU) followed by Energy ($XLE). 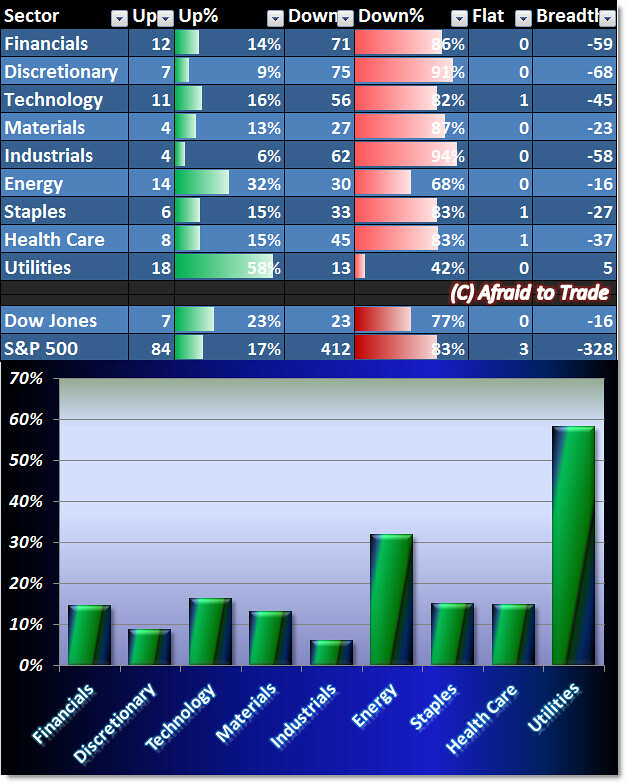 All other sector breadth readings show roughly 15% of each sector’s stocks are positive on the session. In fact, 83% of all stocks in the S&P 500 are negative on the session mid-day. 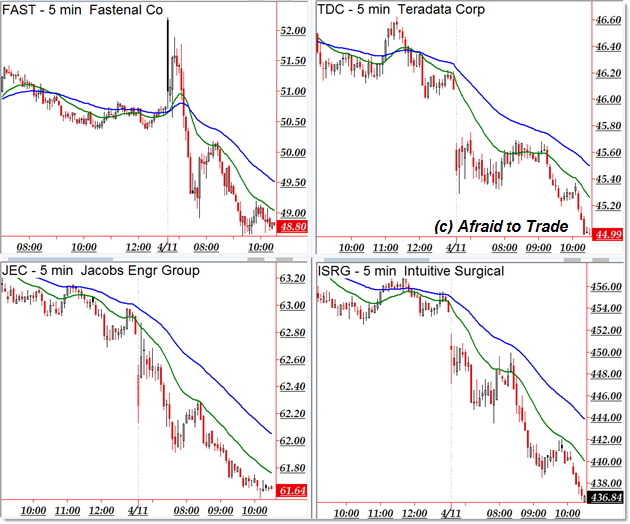 Fastenal Co (FAST), Teradata Corp (TDC), Jacobs Engineering (JEC) and a stock I highlighted on Wednesday – Intuitive Surgical (“Gaps and Traps with Breaks and Fakes for ISRG“) top our downtrending list. If you simply can’t resist going against the trend of intraday money flow, then C.H. Robinson (CHRW) and ConocoPhillips (COP) are showing relative strength and intraday uptrends at the moment. Unless we see another stellar intraday reversal, continue focusing on the relative weakness names and shorting them as the sell-off continues.